Time to read: Less than 90 seconds. You don't have to earn this. It's already yours. I belong to a writing salon. Once a month, a small group of unlikely friends gathers around someone's dining room table to write and read our journals, stories, essays, and memoirs. We've been meeting for five years and have seen each other through retirements, deaths, grandchildren, job changes, and the rediscovery of our creativity. This month, one of my esteemed colleagues wrote a beautiful piece with a great reminder of the price you think you have to pay for pleasure. I was deeply moved by his piece, and he generously agreed that I could share it with you. It's a perfect message for Corporate Rebels in summer. In the busyness years of my life, I remember reading an article in which the author recommended some “good summer reads.” I’m thinking it was about twenty years ago. My history is no longer five or ten or fifteen years ago. I now have to reach back twenty, thirty, forty years or even more to reach those heyday years. For years, I have longed to sit in the leisure of summer, open a book and enjoy a good summer read. And now, this summer I have arrived! I have laid aside the demands I put upon myself through a combination of purposeful intention and opportunity. On Sunday afternoons and mild weekday evenings I am finding myself stretched out on the old couch in the front porch with my feet up and the lamp lighting only enough to illuminate the pages, and I am enjoying a “good...summer...read.” Serendipitously I'm reading a book entitled, “The Art of the Wasted Day”, by Patricia Hampl. A wasted day? I don’t think so. You'd have to read the book to understand that part. But, for me it's more like, “The Fulfilled Day”, “The Blessed Day” or “The Day Long Awaited” because I feel like I have been waiting for these days all of my life. I’ve paid for these days. I’ve paid with hard work and toil, sweat and burnt skin. I’ve paid, but the truth is I’ve paid too much. And I’m wondering if I really didn’t need to pay for these days at all. They were always there for me, but I told them to wait...for too long...way too long! If you loved Bill's writing, please email me and let me know. I'll share it with him. P.S. Do you have a colleague who needs permission to sloooowwww down and put their feet up? 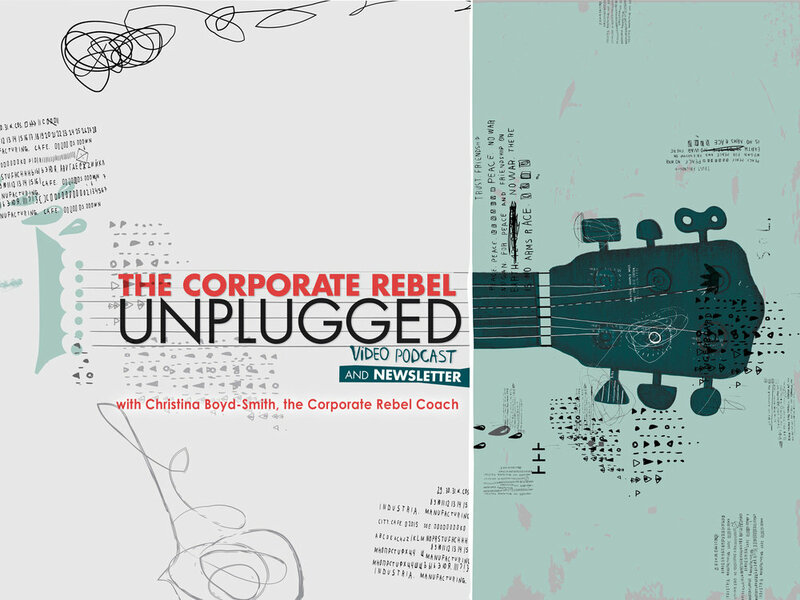 Send them this newsletter and invite them to sign up for the Corporate Rebel Video Podcast and Newsletter right here.